Gear up for your next adventure with this customizable bag honoring the Dark Knight! 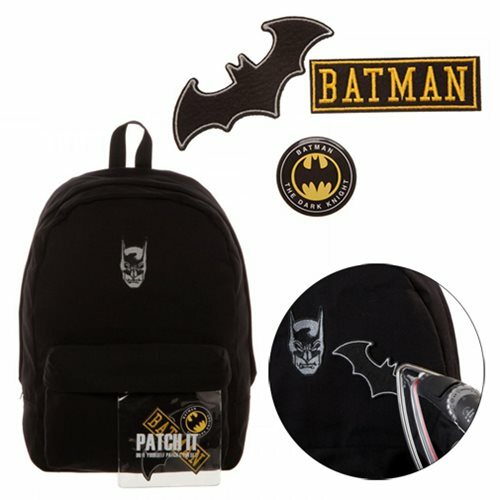 The Batman Patch It Backpack features a simple black design with only a gray scale Batman face adorning it, but includes iron-on 2x patches and 1x pin so you can customize the design however you prefer! The bag is made of Cotton Canvas and measures approximately 12-inches x 17-inches x 5-inches.